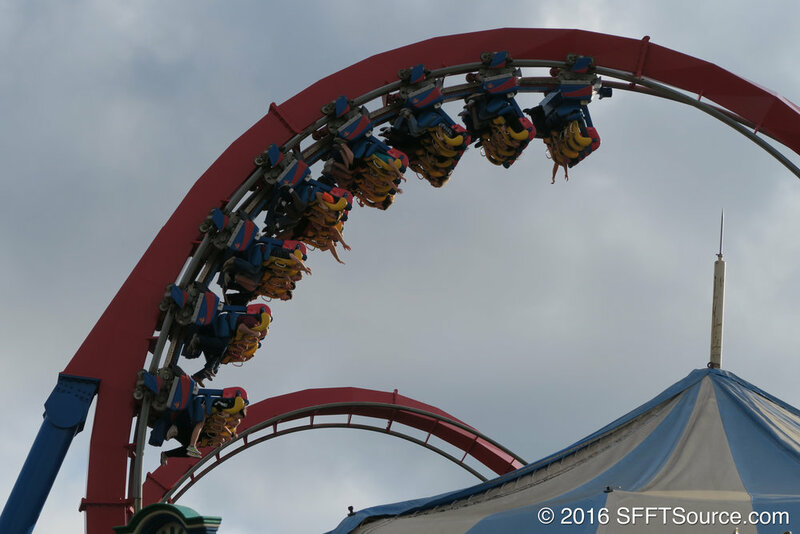 When Superman Krypton Coaster opened in 2000, it was one of the very first floorless roller coasters in existence. From 2000 all the way until 2013, the coaster had the world's tallest vertical loop in the world standing at 145 feet. As of today, Superman Krypton Coaster still holds the record for having the largest drop found in a floorless roller coaster. 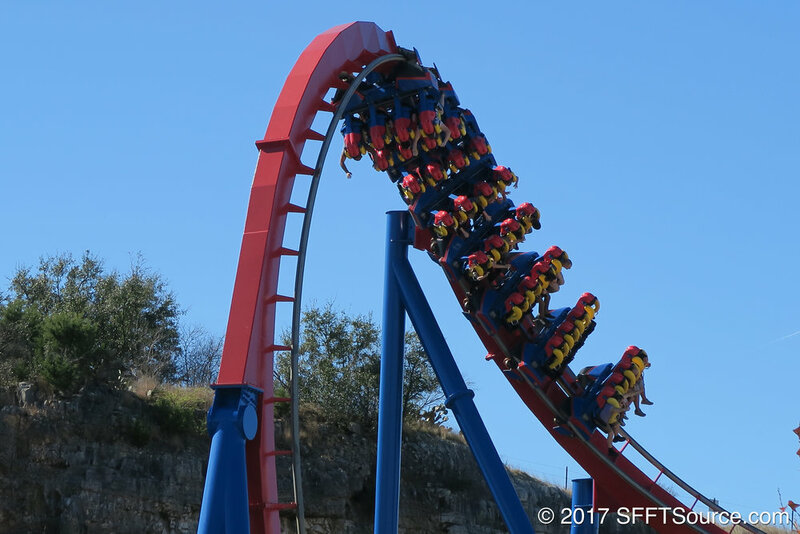 In the summer of 2016, Superman Krypton Coaster took on the brand new virtual reality technology that is currently found at a number of Six Flags parks. Riders put on virtual reality headsets and are thrust into a roller coaster ride that features Superman and other DC superheroes. The attraction ran through the summer of 2016 and has not returned since. 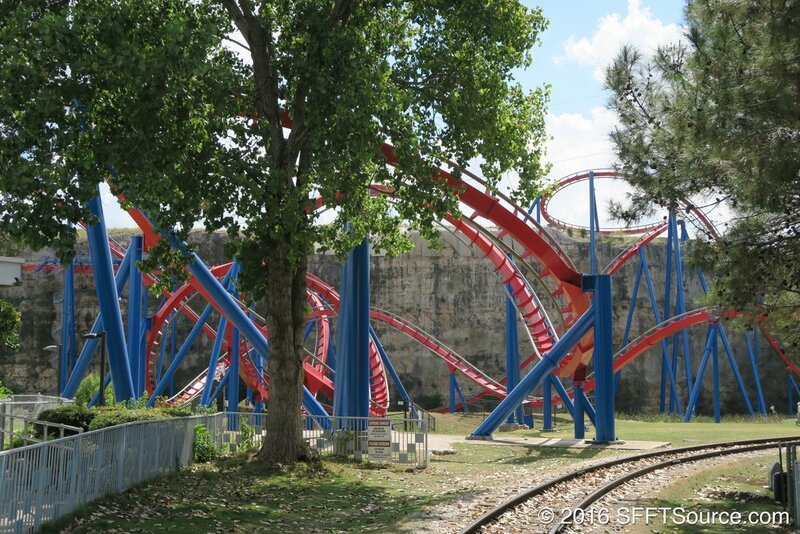 Superman Krypton Coaster is repainted: red track with blue supports. A virtual reality headset feature is added to Superman Krypton Coaster and operates only during the summer months.